On June 29, 2014, the Islamic State of Iraq and Syria (ISIS or IS) declared the formation of a new Caliphate and rebranded itself the Islamic State. As the author Robert Spencer notes, a plan for the restoration of the Caliphate was sketched out ten years ago by the Jihadist terror network al-Qaida. It has been carried out more or less exactly by the Islamic State. IS itself recognizes al-Qaida leader Osama bin Laden as an important predecessor, as well as the leader of al-Qaida in Iraq (which ultimately became the Islamic State), Abu Musab al-Zarqawi. When a new Caliphate was declared in June 2014, many people considered it to be a bad joke. However, a year later, the Islamic State is still around. It has been successfully pushed back on several occasions, following significant military resistance. Yet it has also displayed an ability to adapt, and to conquer new territories when it has suffered a defeat on other fronts. The Islamic State is clearly not a joke. The Egyptian activist Hassan al-Banna founded the Muslim Brotherhood in 1928. He, too, sought to reestablish the Caliphate. It was considered a major blow by many Muslims when the Turkish reformer Mustafa Kemal, or Atatürk, formally abolished the Caliphate in 1924. 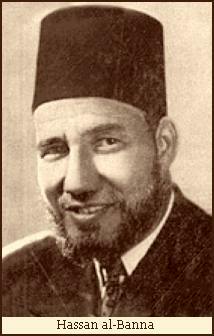 Al-Banna was preceded by other Muslim activists such as Rashid Rida. Banna is the grandfather of Tariq Ramadan, who is currently Professor of Contemporary Islamic Studies at the prestigious University of Oxford, England. Ramadan has served as a high-level advisor to the authorities in Britain, France and the EU. The influential Egyptian Islamic scholar Yusuf al-Qaradawi is widely considered to be a spiritual leader of the Muslim Brotherhood. He was a follower of the MB founder Hassan al-Banna in his youth. Qaradawi has confirmed that Abu Bakr al-Baghdadi is a former member of the Brotherhood. Baghdadi on June 29, 2014 declared himself Caliph Ibrahim of the Islamic State. By reestablishing the Caliphate, al-Baghdadi was merely fulfilling the desire of millions if Muslims worldwide, a goal which the Muslim Brotherhood have been fighting towards for nearly a century. The author Graeme Wood published an in-depth article in the American magazine The Atlantic which has been referred to by many: “What ISIS Really Wants.” I don’t agree with all of his claims. Nevertheless, he concluded that “The reality is that the Islamic State is Islamic. Very Islamic. Yes, it has attracted psychopaths and adventure seekers, drawn largely from the disaffected populations of the Middle East and Europe. But the religion preached by its most ardent followers derives from coherent and even learned interpretations of Islam. Virtually every major decision and law promulgated by the Islamic State adheres to what it calls, in its press and pronouncements, and on its billboards, license plates, stationery, and coins, ‘the Prophetic methodology,’ which means following the prophecy and example of Muhammad, in punctilious detail.” One pious Muslim Mr. Wood talked to commented that “I would go so far as to say that Islam has been reestablished” by the IS Caliphate. Professor Bernard Haykel at Princeton University believes that the Islamic State is trying to re-create the earliest days of Islam and is faithfully reproducing its norms of war. As Graeme Wood comments, the ideological purity of IS allows us to predict some of the group’s actions. Islamic law refers to “offensive Jihad,” the forcible expansion into countries that are ruled by non-Muslims. Waging of war to expand the Caliphate is an essential duty of the Caliph. Temporary peace treaties are renewable, but may not be applied to all enemies at once: The Caliph must wage Jihad at least once a year. He may not rest, or else he will fall into a state of sin. Caliphates therefore cannot exist as underground movements, the way al-Qaida has done for years. Graeme Wood notes that the rise of ISIS happened because the previous American occupation of Iraq created space for Zarqawi and his followers. Neither the Kurds nor the Shia will ever subdue and control the whole Sunni heartland of Iraq. But they can keep the Islamic State from fulfilling its duty to expand. Donald Rumsfeld was U.S. Defense Secretary in the administration of President George W. Bush between 2001 and 2006. By 2015, Rumsfeld indicated that he did not think that building a democracy in Iraq was a realistic goal. That is an interesting statement, given that Mr. Rumsfeld was one of the main players behind the US-led 2003 invasion of Iraq that toppled the government of Saddam Hussein. I was among those who have questioned for years whether trying to promote democracy in a deeply tribal and predominantly Muslim country such as Iraq is a good idea. My basic conclusion was that Islamic culture is not compatible with the good aspects of a democratic culture, but it may well be compatible with some of the potential flaws of a democratic system. Intelligent people warned that a majority Shiite Iraq could soon become dominated by the Shiite mullahs of neighboring Iran. This has indeed happened. The Kurds control some parts of Iraq, which is probably a good thing. Yet by 2015, most of Iraq is a battle ground between Shiites backed by the Islamic Republic of Iran and Sunni militants from the Islamic State. Christians and other non-Muslim communities in the region are in steep decline. This is a nightmare scenario which makes a secular dictator such as Saddam Hussein appear relatively benign by comparison. It should now be apparent to anybody with a functioning brain that American and Western policies in Iraq have been a very costly failure. Despite this, Western ruling elites do not learn from their mistakes. They repeat them. The Libyan dictator Muammar Gaddafi was a cruel man who sponsored terrorism for years. It is strongly suspected that Libya under his leadership was involved in the terrorist bombing of Pan Am Flight 103 on December 21, 1988. This bombing killed all the 259 people on board the airplane, plus an additional 11 people in the town of Lockerbie, Scotland where the wreckage crashed. 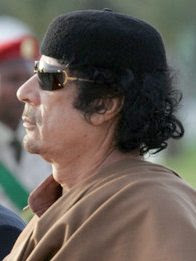 Yet during the Arab Spring in 2011, Mr. Gaddafi no longer posed a threat to Western interests. Despite this, Western governments and NATO actively supported toppling him. 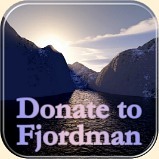 This policy was supported by the governments in Western European countries such as Britain and France. It was also backed by the Obama Administration in the USA. Rumor has it that U.S. President Barack Hussein Obama was lukewarm towards this action. One of the strongest advocates in the Obama Administration of toppling Muammar Gaddafi by military means was Secretary of State Hillary Clinton. Libya descended into chaos soon afterwards. 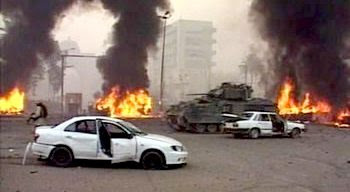 On September 11, 2012, Islamic militants attacked the American diplomatic compound in Benghazi, Libya, killing U.S. Ambassador J. Christopher Stevens. 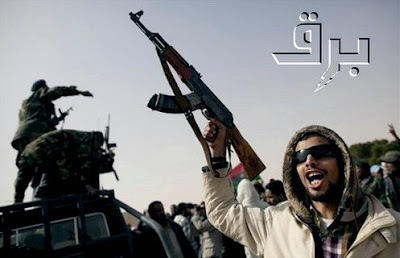 By 2015, Libya had become one of the Jihadist strongholds of the Islamic State in North Africa. The general anarchy there has also facilitated the rise of people smuggling on a nearly industrial scale. A massive surge of illegal immigrants is currently crossing the Mediterranean in boats, heading for Europe. Hillary Clinton, one of the architects behind this mess, wants to become President of the United States in 2016. Once more, Western governments seek to topple another Middle Eastern dictator. This time, it is Bashar al-Assad in Syria. Just like Saddam Hussein or Muammar Gaddafi, Mr. Assad is not a nice man. The possibility still remains, however, that he could be the lesser of several evils. 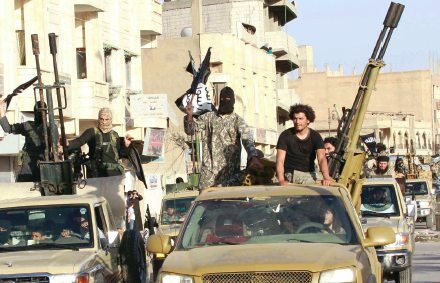 When the extremely brutal Jihadists of the Islamic State already control large parts of Syria, actively working to topple Assad’s regime may not be wise. Yet again, Western governments have chosen to follow unwise policies in the unpredictable powder keg that is the Middle East. Contrary to the statements of Western leaders such as U.S. President Barack Hussein Obama, French President François Hollande, British Prime Minister David Cameron or German Chancellor Angela Merkel, the Islamic State is deeply Islamic. Their actions are backed by authentic quotes from the Koran and the hadith and are inspired by the personal example of Islam’s founder Mohammed, his Sunna. Large numbers of Muslims across the Western world sympathize with ISIS or actively support them. The reason for their enthusiasm is because many Muslims recognize the Islam promoted by the Islamic State as a true and authentic version of Islam. Nevertheless, while the ideology of the Islamic State is a native product of Islamic culture, stupid and misguided Western policies in the Middle East have facilitated the organization’s rise to power. This failure stems from the failure of Western ruling elites to recognize that the ultimate problem is Islam itself. As long as they fail to grasp this fact, Western policies in the Islamic world will continue to fail. Moreover, the Jihadist threat will continue to rise within the West itself, due to the Muslim immigration promoted by Western elites. 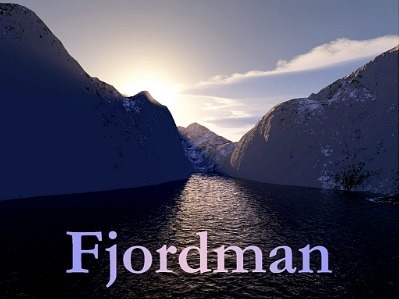 This entry was posted in Arab Spring, Counterjihad, Domestic terrorism, Enrichment, Europe, Fjordman, History, Immigration, Islamic Atrocities, Middle East, North Africa, PC/MC, Politics, Sharia, Stupidity, UK, USA by Baron Bodissey. Bookmark the permalink. You’re absolutely correct. Saudi/Wahabbi petro dollars is being used to add fuel to the fire. It is unfortunate that present day politicians are spineless to address the situation with common sense solutions rather than soft spoken lip service. On the face of it, it appears Western elites have projected their own world view onto third world states under the assumption that the leaders of those third world states would naturally come to accept the Western elite world view as superior to their own. I can’t work out whether this is naive or cynical. “This failure stems from the failure of Western ruling elites to recognize that the ultimate problem is Islam itself. ” Islam is an expression of a people. The problem is the people not the ‘religion’. This is a fatalist, awful thought to have, but does anyone else wonder that, if the West is unwilling to stand up to preserve its culture, values, and way of life, then perhaps we deserve to be shoveled into the dustbin of history by the jihadist hordes? Passing a few laws here and there and now would head off the Muslim rabble at the proverbial pass. If not the west just might at some point decide that the only way to go is to make minced meat out of the racist hordes of Islamo facist cult idiots threatening everywhere. The initial ‘ramp up’ to secure society from the Muslim fifth column might be very costly but a lot less so in the long run than fighting with backs to the wall. I imagine. It’s either that the current leaders of the Western nations are unbelievably DUMB, or they are playing out a script by allowing Islam to run roughshod across the world. Personally I think it’s the latter. No way are they THIS dumb! A movement calls itself The Islamic State, receives support from Muslims from across the world, takes pains to guide it’s every action and utterance according to the Koran and the Hadiths, declares a new global caliphate and declares repeatedly, it’s intention to conquer the rest of the world for Islam and what do the white house and it’s European counterparts say? ‘They are un-Islamic’! How obtuse! Even a’ blind’ man can see the truth. If they are not Islamic, then maybe it is the guys in the citadels of Western power that are, because they seem to know more about what is Islamic than the Islamic state! This is ridiculous! Listen, you westerners: The Muslim hoards are not on their way… They are in your midst already. They are immigrants. They are citizens. They are refugees and they keep coming over in droves and once they get a foot hold, they start breeding children who will have your passports and still be your enemies. They are slowly twisting the demographics of your cities and nations in their favor, right under your noses and introducing Sharia law to subvert the laws of your lands. It’s called Civilization Jihad and it is VERY Islamic. Right now, Western Civilization has two choices. Wake up! Or Die! Listen …since we “western europian” have annihilated their caliphate in end of 1890s .ataturk just hit the nail on coffin in 1924. we did it politically.we tried to conquer them with force but it never worked.sykes/piquo agreement was to separate muslim world to 58 countries and make them divided.meanwhile we take controll of their resources and install puppet leader who will follow our instructions.kamal ataturk was the first puppet.let’s face they don’t want our imperalist motives.they are finally waking up.they know our plan.we have to rethink our stragety and make another brilliant treaty like sykes/piquo.we have to further divude the muslims,after all 70 % of worlds oil and gold is located in muslim world.if we as westerners need to survive , in globation age we need to come up with concrete solution.we need muslim wealth and they need our values imposed on them.